The new shop is coming together nicely. It is not totally finished by a long shot but it is definitely getting there! The counter that had panels replaced due to water damage still needs painting but that may well have to be done at a later date. 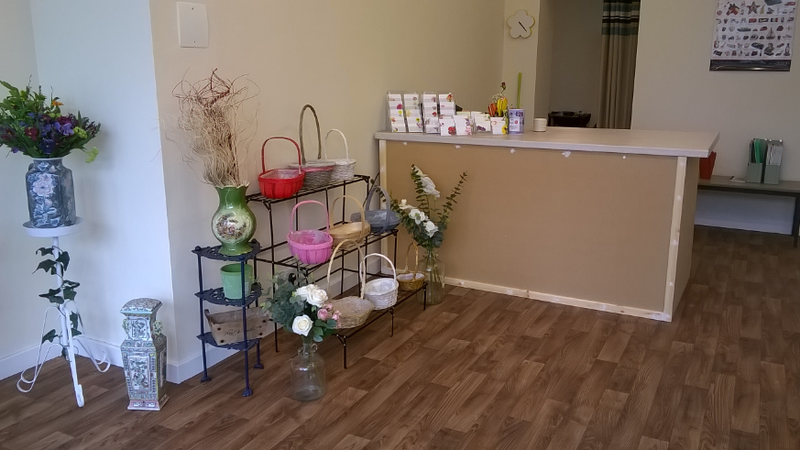 A new work counter for the back wall is in the pipeline to allow more area for wedding and funeral work leaving the front counter free for walk in bouquets. Tomorrow J’s Bouquets shop sign will go up (it is currently propped up in the front window!). This may well have to be suspended inside the shop to allow it to be easily viewed from the road. Window transfers are on the agenda but not a priority right now. New business cards with the new address are on their way and will be dished out as soon as possible. 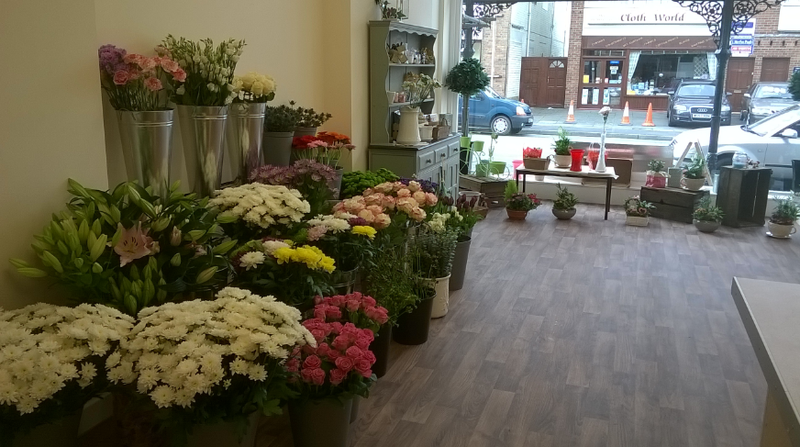 Many customers are coming to find us and wish us luck in the new shop. Its been a tough few weeks but we have just about come out the other side! Here are some pictures as we left the shop Saturday evening. 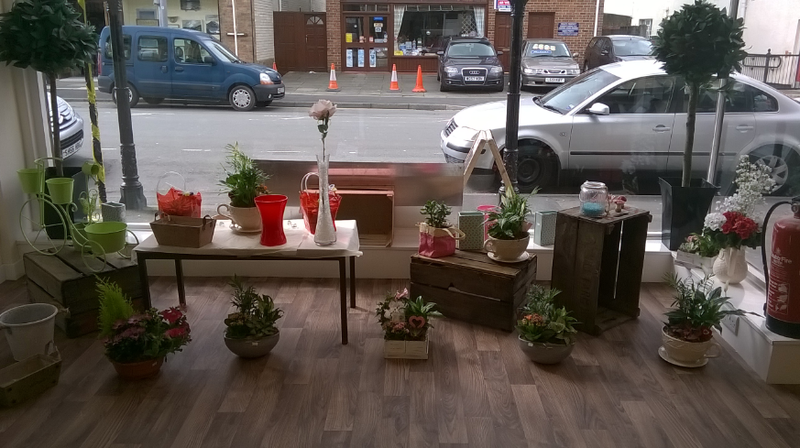 The window display is not up to my usual standard but in the circumstances I think it looks pretty enough. 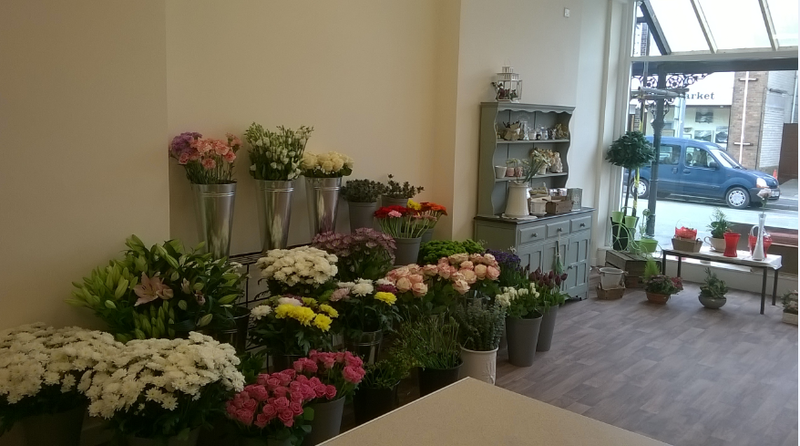 There is lots of space to fill but over the next few weeks J’s Bouquets will purchase new and exciting stock to fill it! For now we are just thrilled to be trading!